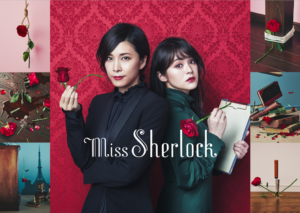 HBO, in co-production with Hulu, will be releasing its first Japanese original, the eight-episode first season of Miss Sherlock. The show stars Yuko Takeuchi (Dog in a Sidecar, Flashforward) in the titular role as Sherlock, while her crime-solving partner, Dr. Wato Tachibana, is played by Shihori Kanjiya (Chiritotechin, Kuchizuke). Miss Sherlock is also the latest edition of locally produced international programming, made available to US subscribers, from HBO’s international partners. The series will be available for digital download on January 21st. Though this show might be heavily reminiscent of BBC’s Sherlock, it still has enough to distinguish itself from that show through its setting in modern day Tokyo and the distinctiveness of its characters. Don’t miss the adventures of Miss Sherlock on January 21st on HBO.